Deadpool 2 is still in theaters, but that doesn't mean 20th Century Fox isn't looking ahead. Ryan Reynold's irreverent hero unseated Avengers: Infinity War at the box office, but it will battle for dominance this weekend with Solo: A Star Wars Story. Deadpool's crew, which includes the lucky Domino and the time-traveling Cable, captivated audiences around the world, and there is no doubt that a third film is in the works. Before fans get too excited about the next film though, director David Leitch still has some goodies from Deadpool 2 to share. Speaking with CinemaBlend, Leitch discussed an extended cut and what scenes he would like to piece back into the film. "There's an extended cut. And I think that they may want to spin that out as a special thing," he stated. "Right now I'm sort of... we're taking our time, and it's going back to the 'director cut,' and then sort of collaborating with Ryan [Reynolds], Rhett [Reese], and Paul [Wernick], and making sure we're all getting all the jokes we want - to have it be fun and our sort of fun collaboration." He also states that the extended version has "some extra Domino stuff." 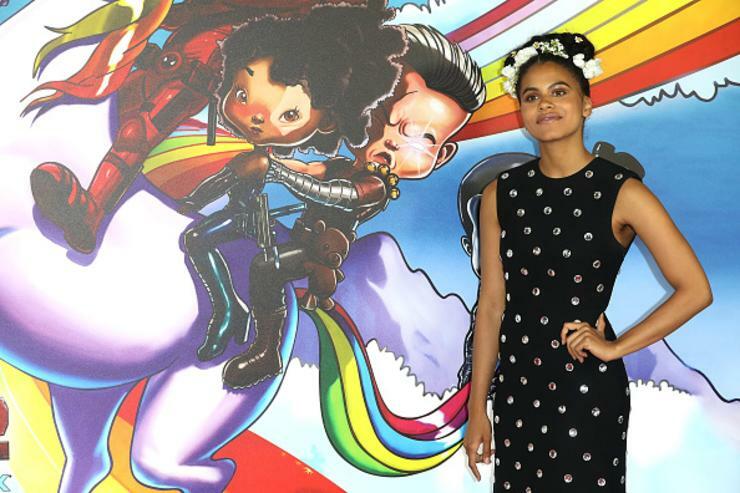 Since Zazie Beetz's deadly hero was one of the best parts of the movie, we're excited to see more of her. Screenwriters Rhett Reese and Paul Wernick reveal a hilarious scene that was cut where Colossus is trying to wash his hands and use the soap pump, but it's clogged. "We had a scene in the kitchen in the X Mansion, which is one of our favorites... You see Deadpool say 'ejaculated into a soap dispenser a hero,' and Colossus goes (smells fingers)," says Reese. "There's an earlier scene where they're in the kitchen and Colossus is trying to get the soap dispenser to work. And he's like, 'This won't work.' And Deadpool's like, 'Just give it a few extra pumps. I just filled it.'" Expect more raunchy jokes like that one and other epic deleted scenes when Deadpool 2 comes to Blu-ray in September.